How our brain understands the light captured through our eyes, generates a view of our environments full of rich aspects, that in some cases is quite different to the photos that we take with any camera. 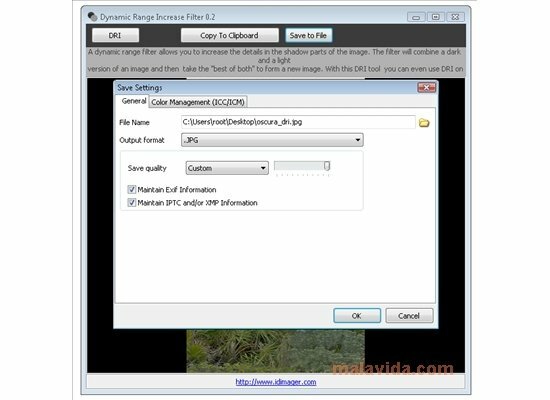 If you want to increase the detail of your photos, you can use Dynamic Range Increase Filter. This utility applies a simple technique that you will easily be able to dominate with a little bit of practice. The process consists in obtaining two pics of the same scene, but with two different exposures. Afterwards, both photos (overexposed and underexposed) will be combined to generate an image in which the detail of the shadows is perceptible and the light isn't “burnt”. 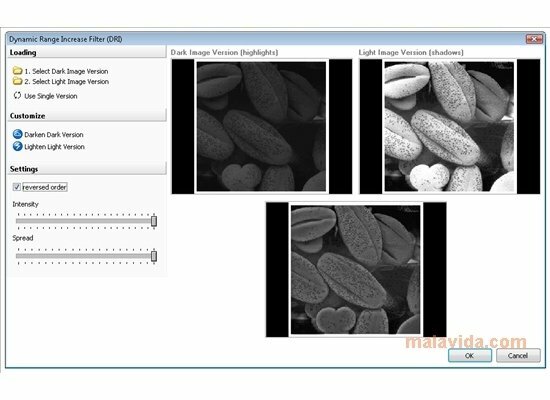 How Dynamic Range Increase Filter works is very simple. 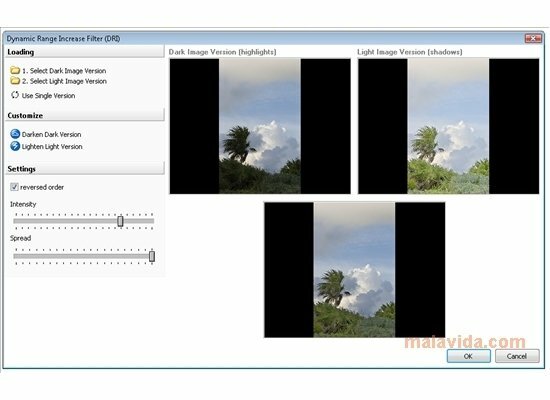 From the application's main window, we select the clear and dark image, by using the corresponding buttons. Once the parameters have been adjusted, we press “OK” and save the image in the format of our choice. 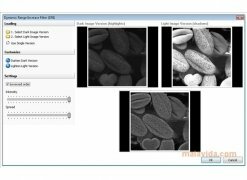 But if we haven't got two shots, we can also use this tool that allows to generate a dark image and a clear one from a single snap. 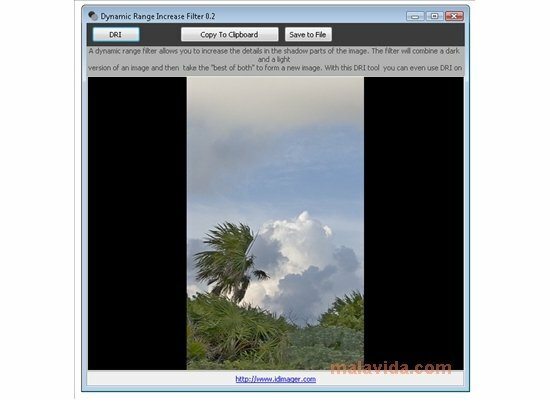 With Dynamic Range Increase Filter you can increase your photos' dynamic range in a matter of minutes.